Like I mentioned earlier, the various colors in this yarn reminded me of the forest and all the colors that you might find in that environment. From deep blues, to green to variations of brown. 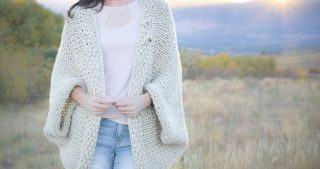 It’s the perfect color combo for fall and it’s neutral enough so that it can go with jeans and all kinds of other outfits. My family spends a lot of time outdoors in the Pike National Forest so it’s safe to say I’m a big fan of forests (tree hugger alert lol!). Many of the color options available with the Anya Yarn are bright, happy and unique which I know a lot of you color enthusiasts will love. My daughter has had her eye on one in particular so I’m thinking of buying it soon to make her a little winter scarf. Below you can see the simple stitch work in this project. You can see the rows where chain stitches are worked with double crochet stitches to create striped open stitching. 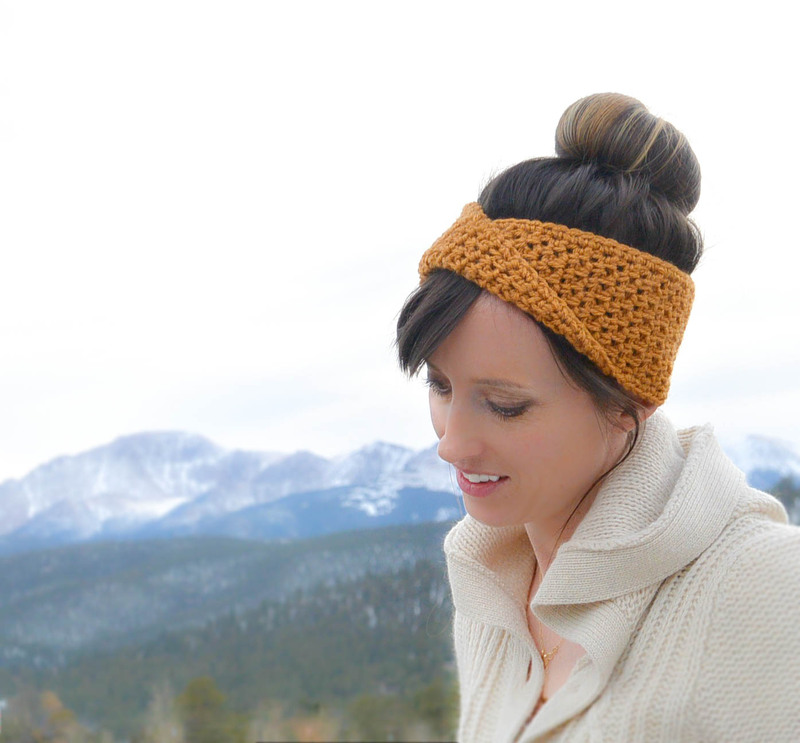 The final edge also features chain stitches and double crochet stitches. Hopefully this gives the scarf just enough interest but doesn’t take away from the star of the show which is the yarn! I made it just long enough that it can rest over the shoulders or wrap around the neck like a small scarf. 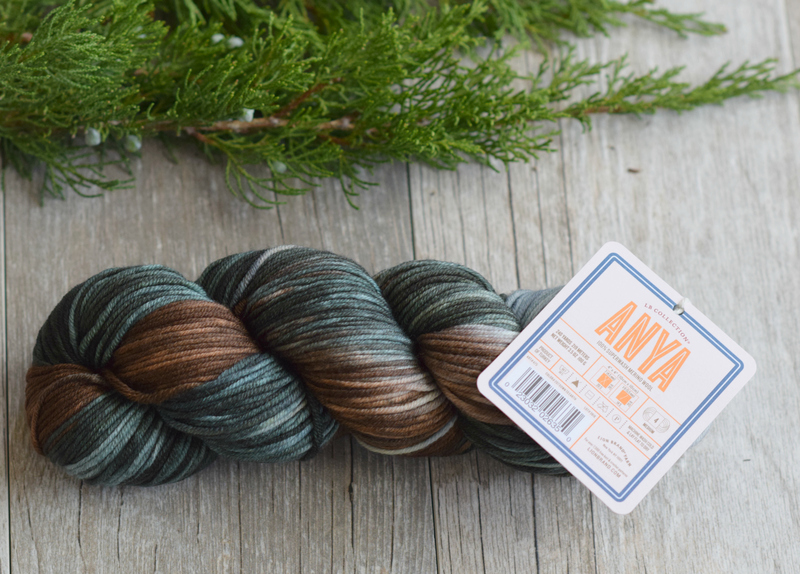 Below: The Anya yarn comes in a gorgeous hank and I wound the first one by hand. I then got out my trusty yarn swift and my daughter helped me wind up the rest in to nice cakes! So let’s get to this pattern! 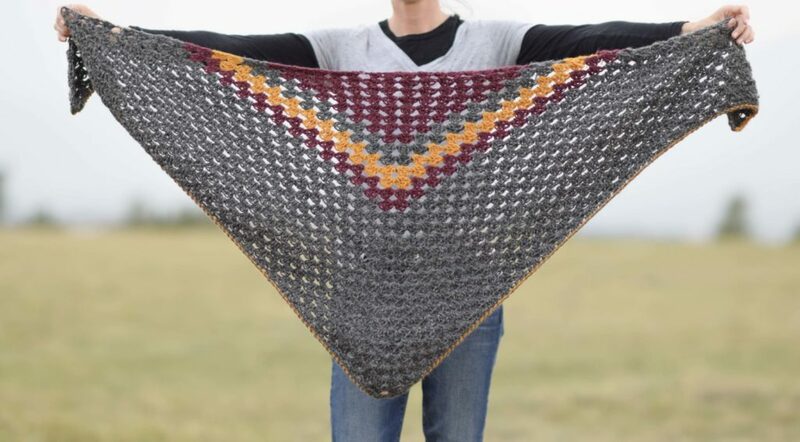 This luxurious triangle scarf will take you from fall to winter with it’s clean lines and simple stitching meant to showcase the incredible colors of this hand-dyed yarn. 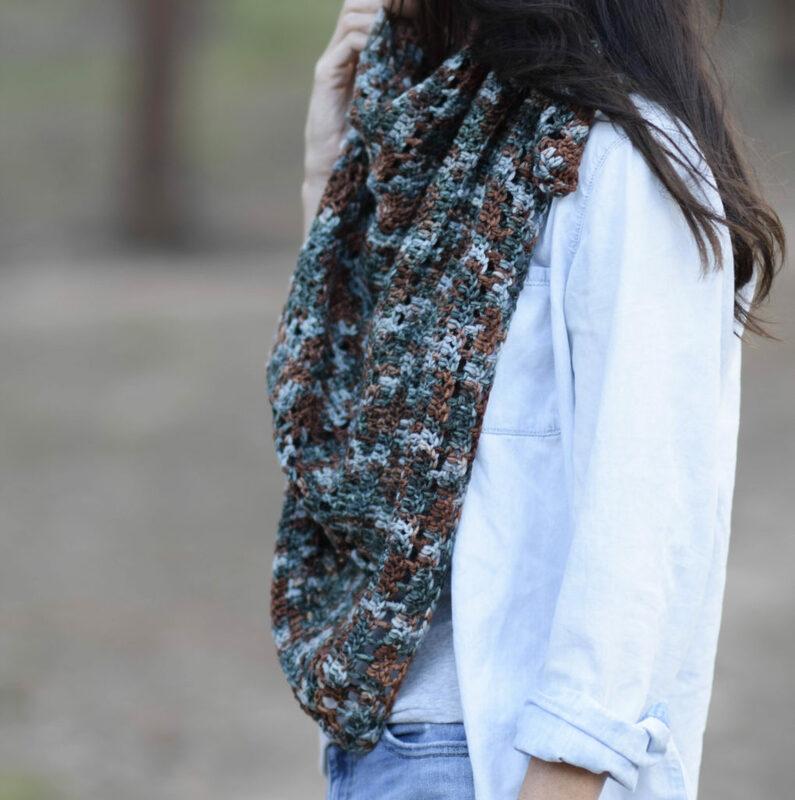 Made with high-end superwash merino, this scarf is both soft to the touch and practical for everyday wear. 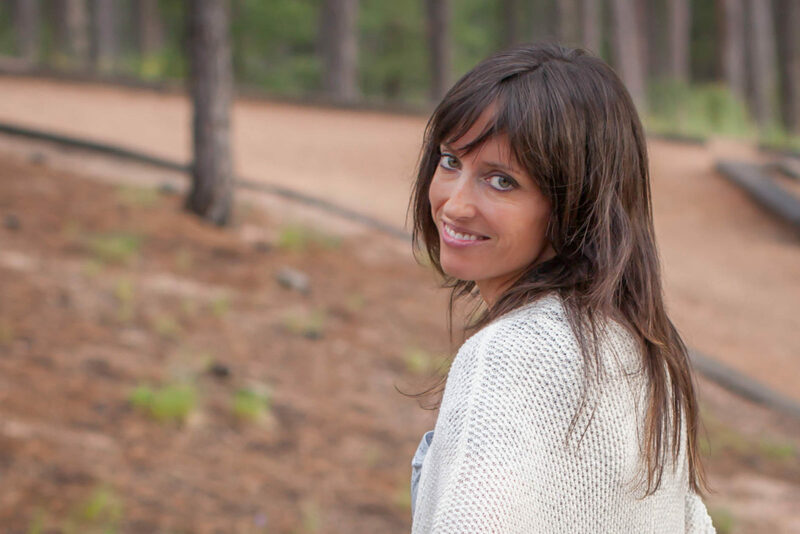 A wonderful transitional piece for all climates and perfect for brisk fall days. 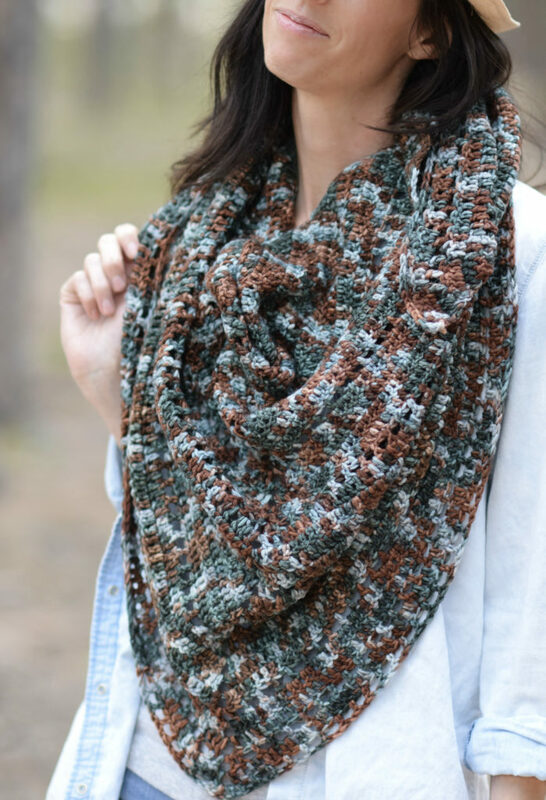 This scarf is crocheted by starting with a ring and working double crochet increases to form the triangle. Each row increases by 6 stitches. Stitch counts are indicated in the parenthesis at the end of the directions for each row. Check your gauge before beginning to ensure the size will turn out correctly. You may also block to shape and size when complete. 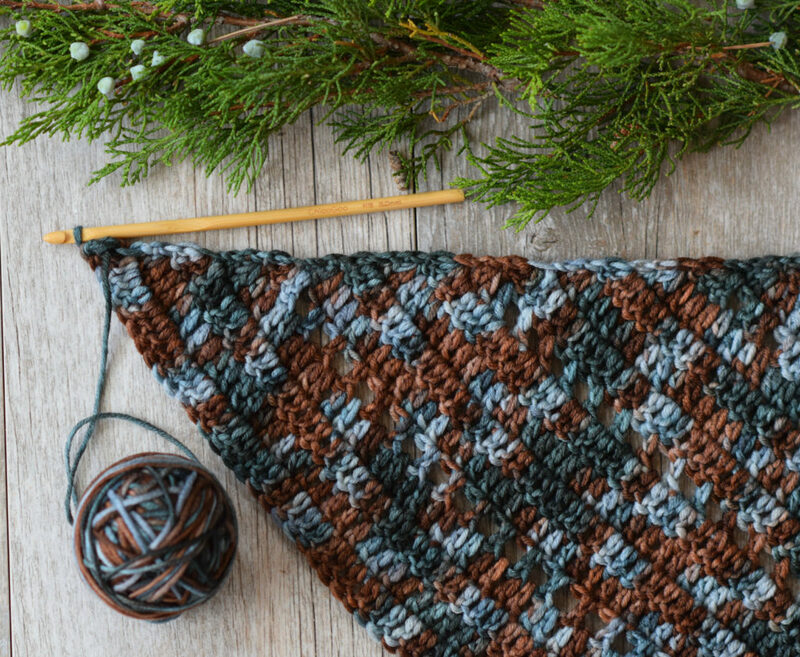 Tie off and weave in ends, or you may continue the stitch pattern repeats as long as you’d like until you’ve reach your desired size. Block to shape and size. Have you ever tried merino wool? I’m always amazed at how soft it is. What would you make with this yarn? 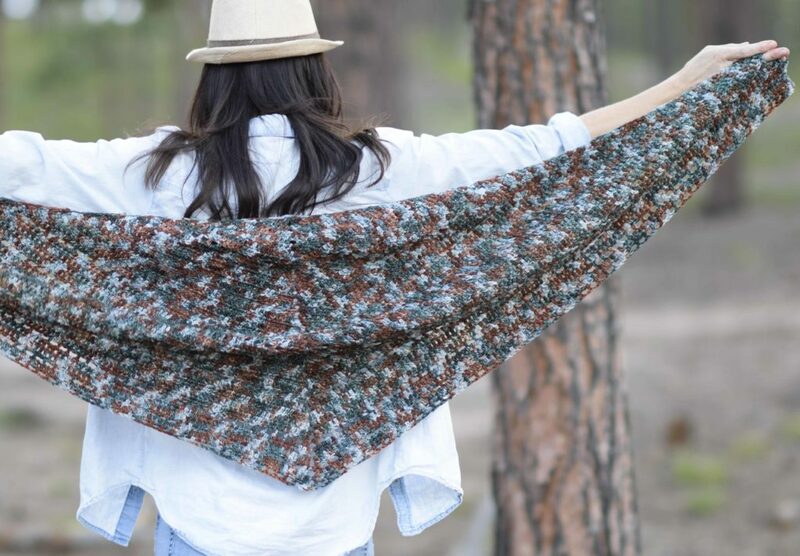 If you liked this, you might also like these crocheted triangle scarves! What a beautiful and perfect yarn for the wrap!!! 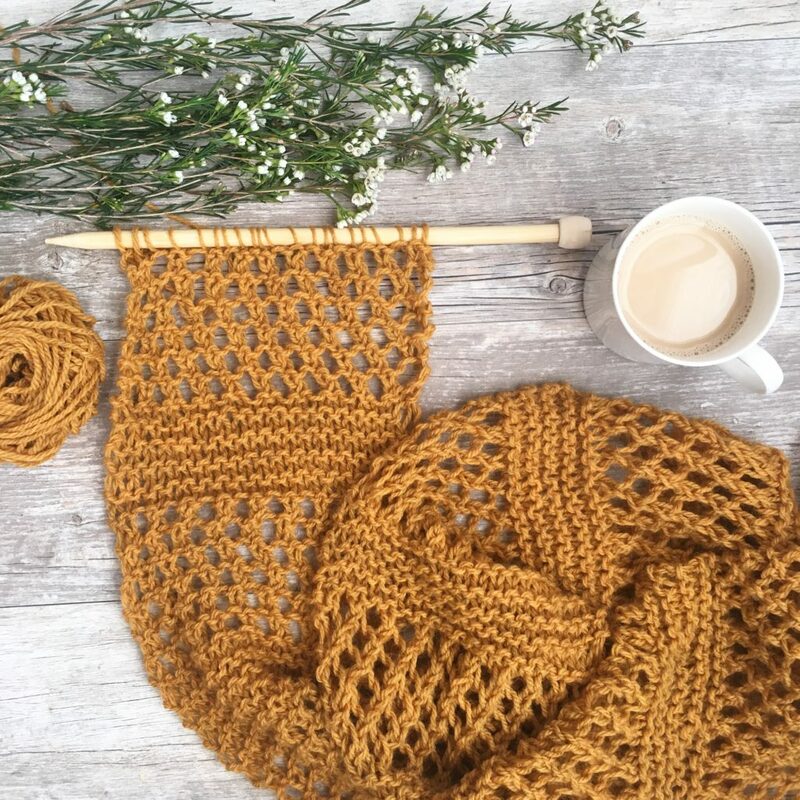 Such a perfect color for fall and a perfect pattern for this time of the year! I too, also woke up to the clouds and mist here in Wyoming! Thank you for another Great pattern to add to my collection to make!!!!!!! I made the triangle scarf with a variegated yarn in purple and pink, and it turned out gorgeous!! Was asked to make a duplicate to sell !!! Also made the triangle scarf using a blue jean blue yarn with a tan; also turned out beautiful!! I’m donating it for a women’s event to auction. Thank you for your awesome patterns!!! 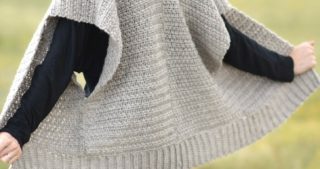 Would I be able to use the same yarn in the knit version referenced in the article? Thought you might want to know that your video link in the fourth paragraph isn’t working. Beautiful, beautiful scarf. You are so talented!!!! I have to say its such a thrill to get your newsletters and see what beautiful things you have created. Now ,I just need to get busy making one this weekend Thanks , I love your creations. 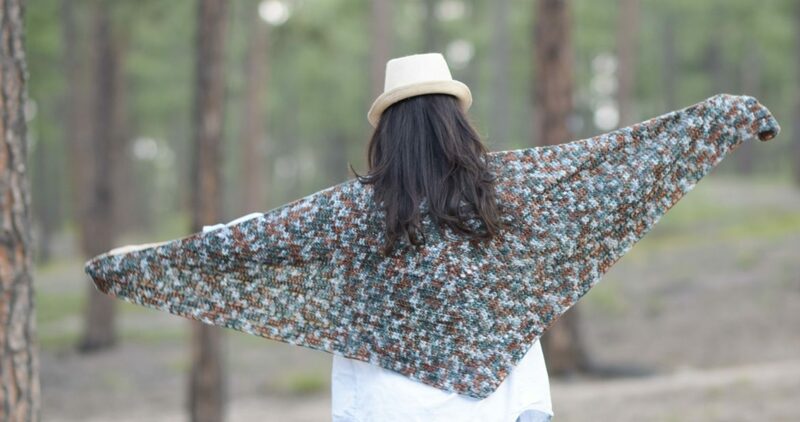 The Anya Triangle Scarf is beautiful! I love the colors as well and agree with you, they remind me of Autumn as well. 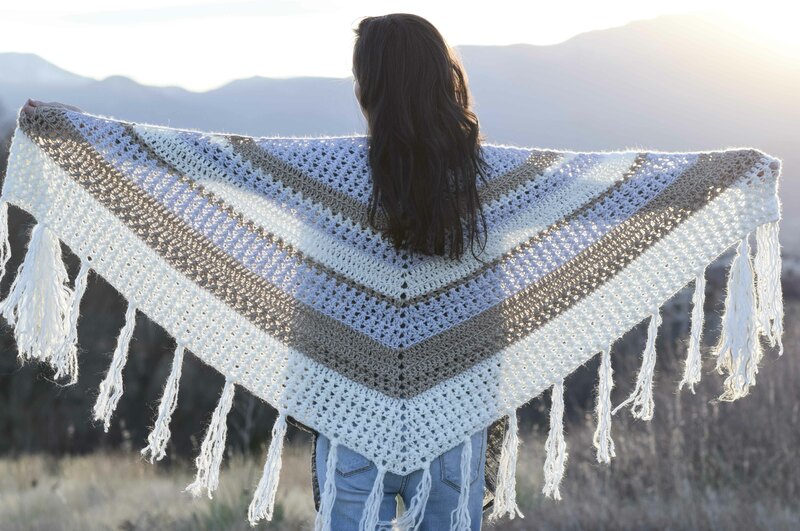 you state that the pattern is worked with half double crochet stitches. 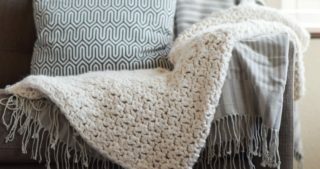 I have looked through your “abbreviations & skillls” as well as read the entire pattern and I have not found any half double crochet stitches, just double crochet stitches. Is this a pattern decision change or a typo? I think it would have looked lovely in half double crochet stitches. Hi Nadine! That’s a typo on my part and thank you so much for letting me know! It’s made with double crochet. I’ll correct that!